Synopsis from Goodreads: The injured young woman Michel Belanger finds in the woods is certainly an aristocrat. And in the midst of France’s bloody revolution, sheltering nobility merits a trip to the guillotine. Yet despite the risk, Michel knows he must bring the wounded girl to his cottage to heal. My review: Holy cow. This was really, really good! I was surprised that it was so good to because I have never read a romance novel before so I expected it to be all sappy and lovey dovey but it wasn’t! 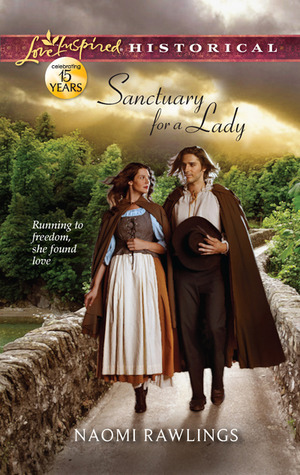 This is a historical romance, so there was definitely more explaining needed for the historical side which I really liked because it was like I was getting a history lesson right along with the story. I also love historical fiction anyways so anything with a smidge of romance is always good. I also didn’t expect the novel to be so deep and well written. I guess I have a lot of incorrect prejudices towards romance novels and this book pretty much dispelled them all. Like I said it was deep, well written, great characters who actually had some depth, and a believable plot. I think the believable plot was what sold me the most on this book. It wasn’t something where I kept thinking “That would never happen!” I actually felt like this story was stolen right from the diary of some French lady during the late 1700’s and early 1800’s and that I was reading all about her life. I loved the plot twist in the last quarter of the book. Total shocker (read it to find out what it is!) Isabelle sounds like such a sweet and sincere girl and I found myself connecting with her a lot. She was so selfless and always wanted to help others out and I found that very admirable. I also liked her spunky spirit where she never took no as an answer and she didn’t back down to a challenge. Michel was a great male lead. I really liked how the story would sometimes switch over to his point of view (not directly, but third person) and he would voice why he was going through these mood changes. Of course, it was confusing for all the other characters, but I liked that he had valid reasons behind his actions, and didn’t do things willy nilly without an explanation. Overall, I really loved this book and gave it five out of five stars on Goodreads! I think this would be appropriate for teens who are in high school or a little older, and for adults as well. Very sweet story, with awesome history context, and relatable characters. Also, the novel has religious references throughout it, but as a non-religious person, I didn’t feel at all like they took away from the story, in fact I rather liked how their devotion towards God affected some of their actions and helped move the plot along smoothly. Job well done Naomi Rawlings! The one thing that I didn’t like about this book? The cover. That is not how I imagined either character and I found it was tacky and typical romance novel-esque. But that’s how most romance novels are and I’m not sure if the masses like that, or if it’s a marketing tool, but don’t let the cover scare you away it’s a really great read! Thanks for the lovely review, Paige!